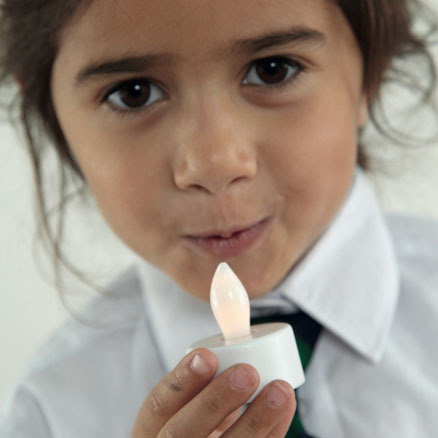 Blow on one of these candles and it will turn off... as if by magic!. Blow again, and it will turn on. 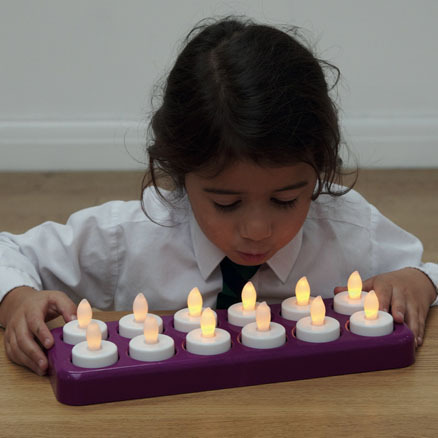 These electronic candles are the perfect alternative to real candles to work breath in speech therapy. Totally safe, comfortable and rechargeable. 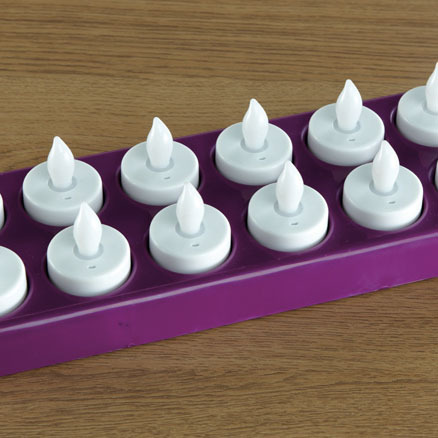 They can also be used in classroom activities, such as birthday parties. 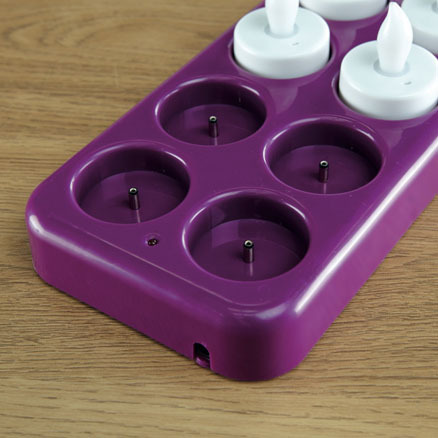 The kit includes 12 candles and a charger.